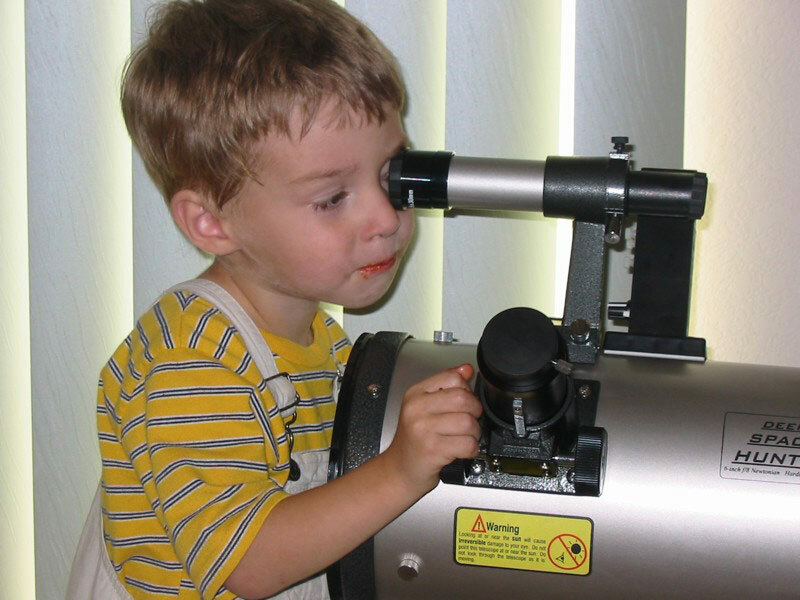 Kids and telescopes - how young? This might seem like a weird question, but what do you think is a good age to first let kids look through a telescope? 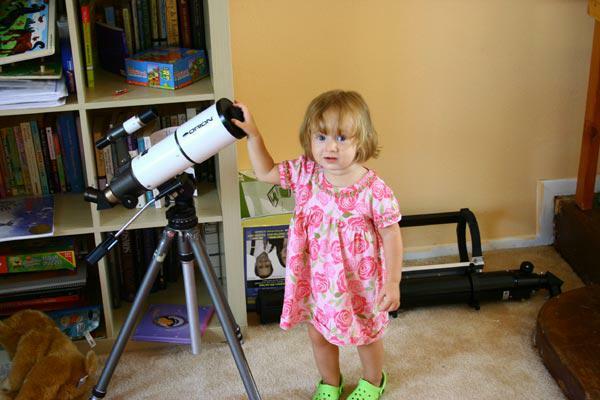 My daughter is 2 ½ and she already loves looking at pictures of the moon and planets. She plays with an old pair of binoculars I have and when I ask her what she is looking at she says “the moon” or “sat-run” (her favorites). I am planning to give her a peak at the moon through the scope this winter, when it gets dark earlier and when the moon actually emerges above the tree-line in my backyard. I guess my biggest concern is that if I do it too soon, she might be too young to remember her first light. I’m also not sure if she will get it, understand what she is really looking at. I’m curious to hear what other people’s experiences have been introducing young kids to telescopes. My daughter is 4 and she loves looking through the telescope. I think we started at about the right time with her. With careful supervision, I don't see any problem letting her look through an expensive telescope. As for her remembering her first light, I don't think that'll be a problem. She still recalls things that have happened 2 or more years ago. Nothing wrong with them not remembering their first light. It just means they'll think of it as a natural part of life instead of a special game. (I have no memory of not being able to read.) I think as soon as they're old enough to (a) be able to see through the eyepiece and (b) understand how to behave around the scope and what can and can't be touched, they're old enough. Last night my niece was out with me for three hours, and she is not quite four. She loves views of the moon, Jupiter, and we tried a few star clusters. She really enjoyed M6 and M7 in Sagittarius, and readily noticed the orange star in the Butterfly Cluster. I tried M11, and she enjoyed it, but was getting quite tired by then. A few months ago, I tried showing her and her brother Albireo, which neither found very exciting. But, she enjoyed taking the scope and slewing through the rich Milky Way star fields of Cygnus. Last March, she watched the Lunar Eclipse with me, through my binocular mounted on a cheap photo tripod. The amount of time she spends at the eyepiece(s), it's obvious she is intently observing. My advice, as you can work around her bed time, is make sure she has a sturdy step stool so she can easily reach the eyepiece, point the scope at something obviously bright, like moon or planet or bright star cluster, and see what happens. You will be able to tell if her eye is able to focus on what is in the scope's FOV. I've held my daughter up to the scope since she was 3. She knows not to mess with the scopes, but she loves to be out with me and look through them. The best thing to do is leave the scope set up in the house, where the kids can see it. The natural curiosity to touch it will overwhelm them, and that's when you start teaching them what it is and how to treat it. I had my LXD75 set up in the house, and my daughter always wanted to touch it, or play under it. I told her what it was, and what it did, and then taught her how to treat it. I let her touch the tripod legs, and I let her look through it. But only when I was around to help. If I needed to work on it, I'd let her help by holding tools or parts. I also give her the spare things I don't need, like old finderscopes and stuff like that. The, she can have her own little telescope to play with. The best part is when she looks through the scope and instantly knows what she's looking at. The only problem comes when it's time for her to go to bed, and I'm out with the scopes. She always has to come outside for that extra kiss goodnight, or the hug, and inevitably wants to stay outside and look through the scopes. You have to understand that there are two things that drive children, one is curosity. They have the inborn, genetic need for input (as Johnny 5 called it), and their curiosity sometimes gets in the way of good judgement. So you always have to be ready to teach them. The other thing that drives them is the desire to be like you. They want to do what you're doing, they want to eat what you're eating. If you have this big, nice, shiny thing that they have a curiosity about, and you teach them what it is, every time you use it they want to use it alongside you. DieselGuru and Brenda, I think we must have all been responding at the same time. Reading Diesel's post caused me to remember after our first view of the moon last night, my niece wanted to see "the other moon". After questioning what she meant, I think she was having a hard time connecting the crescent moon she was seeing naked eye with what she was seeing through the scope. Our first view was at dusk, so the moon wasn't too bright. But, we later revisited after it was totally dark, and tried viewing through my 20mm eyepiece, but she complained it was a bit too bright, so I inserted my moon filter. Then she did not like the green hue the filter created, but found the view more comfortable. I have 2 boys (3.5 yrs and 2 yrs old) I have had both sit on my lap while we look at the moon through my scope and both absolutely love it. My neighbor has also given me an old Tasco reflector he had in his attic. I have cleaned that up and now my oldest son calls that his telescope. I think any time you can show your children the wonders of the universe and let them know what you are doing it is well worth it! My 5 year old daughter started looking at 4. She likes to look at the planets and the Moon, but REALLY likes the red flashlight! I made the mistake of bringing out the green laser pointer, and all she wanted to do was play with that. At first it was a distraction because it was something she couldn't have, but once I told her she could point to stars with the skinny red flashlight, she was ok. I am already introducing my 2 1/2 year old to telescopes. I don't think she has managed to look through one successfully yet, maybe just a glimpse. But, she is enjoying it, she is learning scope etiquette, and the names of objects are becoming familiar to her. I don't see where you could lose. They don't remember a lot of things they do for the *first* time when they are young. Most likely, it will be more about the quality time spent with you more than what was actually seen, anyway. My daughter is 5 and loves looking through my scope. She loves the planets, and Jupiter is her favorite one. She often watches educational space shows on Discovery with me. She sometimes sees a rocket ship that landed on Jupiter. My son is 4 and likes looking through the scope too. I'm not so sure he understands exactly what he's looking at, but he enjoys it. Both the kids can easily point out Jupiter in the sky, given its brightness and general position in the sky this summer. When Venus was visible in the twilight my daughter could pick it out, again given it's brightness and general position in the sky. In any case, I think introducing them to astronomy as young as possible is good. If they don't first get it, try again in 6 months to a year. I figure 3 is about right. My 5 year old gets the rare view, held up by daddy, started when he was about 3. He wants to touch and play with the scopes all the time when we are in the garage. I took an old 60mm refractor and repainted it and cleaned it up, its the Milo scope, he is most proud! As you mentioned Ted, I too look forward to this winter so he can view more and not worry about being up too late. Hey Jeff...you're an excellent instructor! Great picture! I guess it can be quite subjective. At outreach events, I find that the majority of very young astronomers, say under 5 years of age, have a very short attention span...hey...they're kids! If you don't have something in the ep that is bright and interesting, they start looking for other stuff to do. The true interest starts when young school age kids start studying space. With these kids, having a nice open cluster like M11 or M37, you find that they're asking a lot of questions. I've also found that when we have an outreach and we have a Mallincam setup, it's a big hit with the kids(and the adult kids ). I guess it's that video game thing. At any rate, if the youngster is able to sit still at the ep, he or she is old enough.  Type of object is VERY important to keep that interest piqued. And letting them decide when they want to view in order to keep that interest. My oldest is almost 6. She loves it when we have star parties at the house as there are a lot of people to play with. Last time I went out to a real star party (an all nighter) she was really mad at me for not taking her. I don't think she realized what she was asking for as she is actually scared of the dark. I think she thought that it was going to be like the ones we have at home. She loves looking at Saturn and the moon when I have my scope out, but doesn't have the patience to be with me when I'm doing my thing for more than about 5 minutes. To try and entice her into getting into astronomy, I "gave" her my Orion Short Tube, which she will set up next to my scope everytime I setup in the back yard.